Helen Keller's story is one of great perseverance and courage in overcoming her disabilities to become an author, educator and an inspiration to millions. 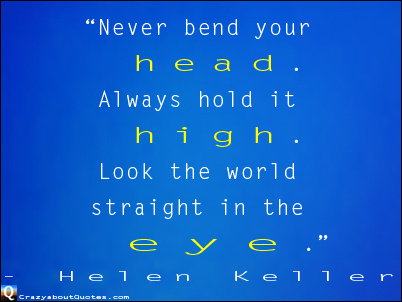 Enjoy this brief profile and 27 of the best Helen Keller quotes. 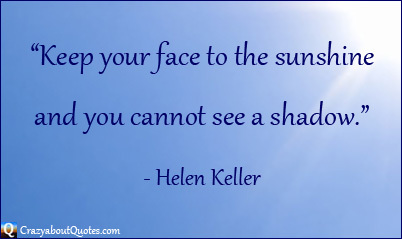 Profile: Helen Keller was born on June 27th, 1880, in Alabama. At only 19 months old, she contracted an illness and became deaf and blind. Frustrated at being unable to communicate, as a young child she had serious behavioural problems. When she was six her parents, on the advice of Alexander Graham Bell, contacted the Perkins Institute for the Blind, they suggested Helen work with one of their recent graduates, Anne Sullivan. This was the beginning of a teacher-pupil relationship with became a 49 year friendship. Helen graduated at 24, becoming the first deafblind person to earn a Bachelor of Arts degree. She was determined to learn how to speak, and indeed went on to become a world famous lecturer and author. Helen was well travelled and sought to help improve the lives of others, particularly those with disabilities, by campaigning on many important issues of her day. She wrote 12 books including her autobiography Helen Keller: The Story of My Life and met with many famous people of her day including several U.S. Presidents. Helen was also friends with Mark Twain and Alexander Graham Bell. 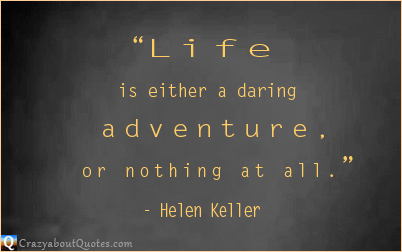 Helen Keller died on June 1st 1968 age 87. Helen is an inspiration to millions, she opened eyes and minds with her determination, courage, and vision to overcome. 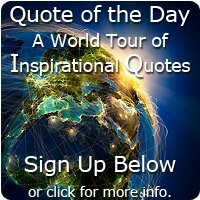 Enjoy and get inspired with her beautifully crafted words of wisdom. It does not exist in nature, nor do the children of men as a whole experience it. Avoiding danger is no safer in the long run than outright exposure. by which a shattered world shall emerge into the light." "Your success and happiness lies in you. and you shall form an invincible host against difficulties." and most exciting when it is lived for others." or opened a new doorway for the human spirit." or in the life of another." ambition inspired, and success achieved." so love with its joy clears and sharpens the vision." but whose fragrance makes the garden a place of delight just the same." "We can do anything we want to if we stick to it long enough." because we lack equilibrium between light and darkness." and my heart leaped to the rapture of living."